AT&T has reversed its policy of blocking voice over IP (VoIP) iPhone applications from connecting calls over its cellular network. The move may be based on some strategic ulterior motives, but is still a step in the right direction for the mobile service provider. AT&T has struggled with how to handle (VoIP) applications that enable customers to place calls over the AT&T cellular network or by using Wi-Fi connections from AT&T mobile devices. AT&T makes its money based on the number of calling minutes that customers use. If those calls are placed over alternate services it may impact AT&T's bottom line. Skype has an iPhone app which is capable of placing calls over Wi-Fi, but not over the AT&T cellular network. Google Voice created an app which has not been approved that would provide the ability to place calls over either network. In the midst of the Google Voice turmoil, Vonage developed an iPhone app which became available this week which is capable of using both Wi-Fi and the cellular network to place calls. 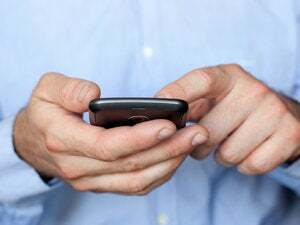 The rejection by Apple of the Google Voice iPhone app has drawn the attention of the FCC and the FTC and brought intense scrutiny on the mobile communications industry. AT&T has stated it had nothing to do with the rejection. Apple has stated that Google Voice is still pending consideration and is not officially rejected. Regardless, the app is not available and the motives behind the rejection or delay seem questionable. Perhaps the decision by AT&T is a strategic move in the chess match between the wireless industry and the FCC. Similar to the deal that major pharmaceutical companies made earlier this year with the Obama administration, maybe the move by AT&T is a veiled attempt to diffuse the net neutrality debate by demonstrating that the industry is capable of behaving rationally without intervention. The bottom line is that VoIP calls placed over the cellular network will still use calling minutes. It should not matter to AT&T whether those minutes are used calling a friend in Kansas or connecting to a VoIP network to place a call to Belgium. Minutes are minutes. AT&T needs to understand the bigger picture and not paint itself into a corner by relying solely on cellular calling minutes for revenue. Regardless of the tactical reasons for AT&T's change of heart, or the possible ulterior motives it might have for embracing third-party VoIP communications over its 3G cellular network, it's a move in the right direction. The mobile phone is much more than a phone now and providers like AT&T need to adapt their business models and service plans to evolve with the technology.